With temperatures expected to climb well into the 60s this weekend, what better activity to use as an excuse to avoid shopping malls like the plague can there be than fishing? It also helps, of course, that the fish remain hungry. 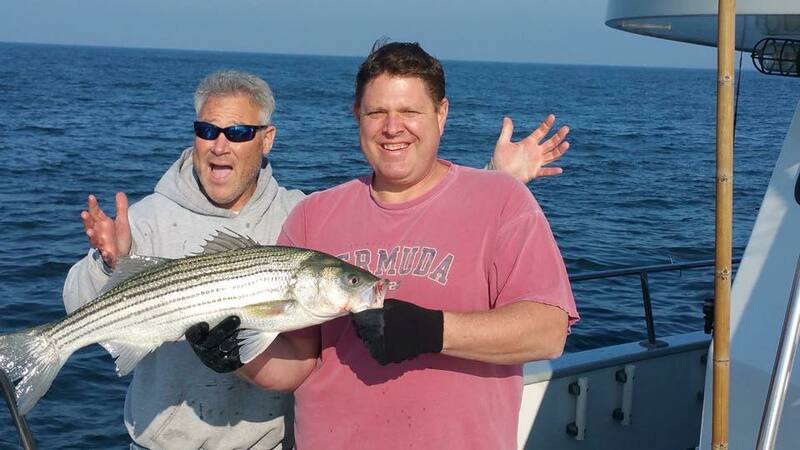 Around the suds in Ocean County this week, blues have been ruling the roost. “I am having trouble remembering when we had so many big blues this late in December,” Grumpy from Grumpy’s Tackle in Seaside Park said in a report yesterday. Many of the customers at Grumpy’s were pretty sure bass were out there – somewhere – beyond the bluefish madness. But with water temperatures remaining in the low-to-mid 50s, nobody was in a big rush, as there was plenty of fishing season left. Also bolstering the case for more bass on the way after the pods of blues move out is the bait situation. There are plenty of sand eels around, making the Ava jig that much more valuable as a bass weapon this weekend (Avas mimick sand eels). The big blues were also dominating at Island Beach State Park, where customers of Murphy’s Hook House in Toms River were fishing Thursday. Mario said fresh bunker is now in at the shop, waiting for anglers this weekend. “Sources” at the shop heard about a swarm of bass ready to invade from the north. “Mid size bass and blues are still chasing bait right up on the sand well within the reach of surf bound fisherman,” John from The Dock Outfitters in Seaside Heights said. Cut bunker and clams seemed to be a “one-two punch,” he said, with SP Minnows rounding out the tackle box. Farther out, sea bass and cod fishing remained excellent on board the Jamaica II party boat out of Brielle, the crew said. The haul on one trip this week also resulted in more than 70 porgies. Check the boat’s website for trip schedules. On board the Queen Mary party boat out of Point Pleasant Beach, blues and bass were the ticket. It was a great morning of fishing, the crew said. Customers started off using shads (which were quickly chewed up) and switched to jigs, which paid off.